Find the perfect gift here. Jewellery - Tableware - Vases - Collectables. We encapsulate ashes into beautiful cremation glass. 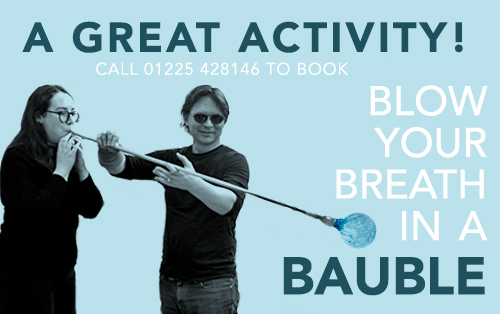 Book your glass making activities now! Stained Glass commissions and restorations. 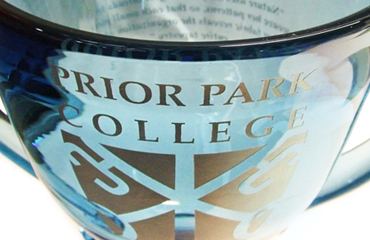 Personalise your glassware with our in-house engraving service. 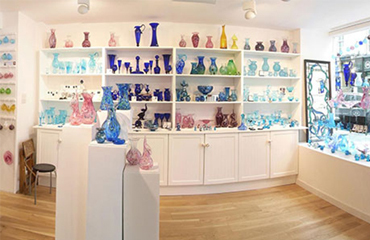 Find our stores located in the historic city of Bath. Jewellery - Centrepieces - Glassware. 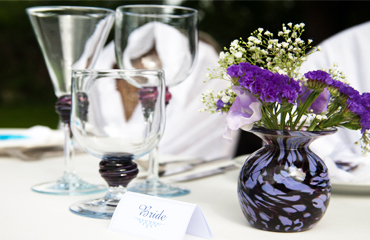 We can compliment your wedding colours for your perfect day. Bespoke trophies and award commissions for businesses and events. 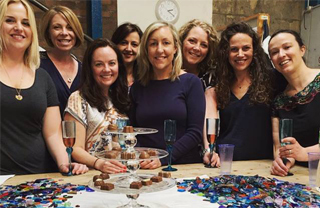 Bath Aqua Glass is proud to be an independent glass production company specialising in stained glass, glass blowing, handmade fused glass jewellery and glassware decorations as well as offering public demonstrations and glass making courses. We are based in Southwest England in the historic and beautiful city of Bath. 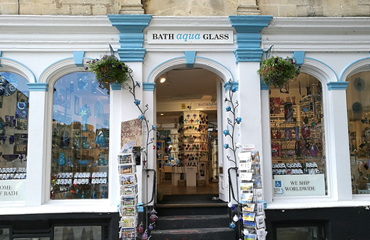 Occupying two central locations, our Theatre of Glass in the artisan quarter of Walcot Street and its sister shop situated next to the Ancient Roman Baths and the awe inspiring Bath Abbey. 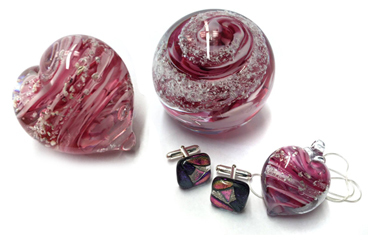 Our online shop has an abundance of treasures on offer, including handmade glass vases, glass bowls and ornaments in a wide range of colours and designs. Our signature colour is aqua blue, reminiscent of the healing aqua waters synonymous with Bath. Our shops are some of the most interesting Bath shopping experiences. Handmade, stained glass windows, door panels, lampshades and more can be commissioned through our studio, where we also undertake many restoration projects. 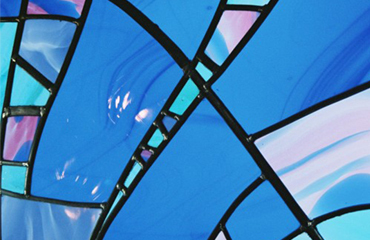 Our stained glass artists are extremely experienced in producing high quality glass designs, influenced by all eras of glassmaking. For full details please visit our stained glass section. Glass trophies and corporate giftware can be made to order as single pieces or for repeat events. 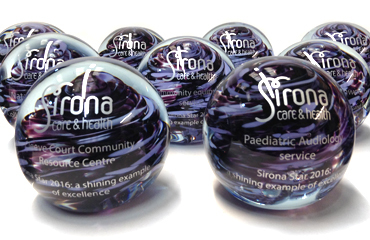 Custom glass pieces may be commissioned with your logo or business colours into the design where possible. Please contact us to discuss your full requirements and to request a no obligation quote. Our exclusive collection of Cremation Ashes in glassware creates a touching sentimental memorial to those now passed. 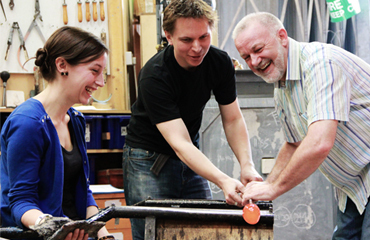 We are very experienced at putting ash into glass and have a large range of unique designs to choose from helping you to create an even more personal piece. To view our gallery of past work please visit our Cremation Ashes page for full details and online ordering information. We also offer 10% off for Forces with a Military Discount Card . Click here to sign up for offers & news !